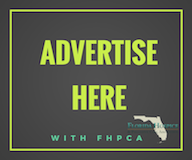 TALLAHASSEE, Fla. – Florida Hospice & Palliative Care Association (FHPCA) FHPCA is proud to announce Executive Officers and Committee Chairs for 2019. The Committee Chairs execute key strategic plan initiatives of FHPCA’s mission to ensure excellence and access to hospice care. The new 2019 Executive Committee members will continue to pursue these goals and serve Floridians and Hospice programs as strong advocates for the needs of those in the final phases of life. Rana McClelland, MBA, is the Regional Program Director of Florida operations for Compassionate Care Hospice, a large national hospice and palliative care provider. She was previously Vice President of Palliative Medical Associates, a national palliative care provider and a division of hospice and palliative care services for patients in need. She is an acknowledged expert in the hospice and palliative care sectors whose many accomplishments include founding Compassionate Care Hospice’s Florida operations in 2010 and rapidly expanding to 3 programs in 6 counties by 2015. She serves on the board of the Florida Hospice & Palliative Care Association (FHPCA). A native of Huntsville, Alabama, she received her undergraduate degree at Auburn University and her MBA at Southeast University. Jaysen Roa brings over 10 years of hospice leadership experience, having served as Executive Director at Good Shepherd Hospice, Inc. an affiliate of Chapters Health System, Inc. based in Lakeland, Florida. Roa also served in a variety of leadership roles at Hernando Pasco Hospice (HPH), Inc. and also worked at Hospice of Citrus County, Inc., both based in Florida. He currently serves as President & CEO for Avow. Gayle Mattson currently serves as president of Haven, a non-profit organization and affiliate of SantaFe HealthCare serving the hospice and advanced illness needs of over 800 Floridians each day across 18 North Central Florida counties. With decades of executive experience in clinical and health care delivery operations including hospital, home health, hospice, geriatrics and palliative care, Mattson has seen the need for expanded access to quality programs and services for advanced illness and end-of-life care. A Minnesota native, Mattson earned a bachelor of science in nursing at St. Olaf College and an Executive Masters in Healthcare Administration at the University of Minnesota. Mattson was awarded the 2014 Minnesota Women in Health Care Leadership Award. Pauline Taylor is currently the Executive Director and Administrator at AdventHealth Hospice Care Central Florida (formerly Hospice of the Comforter). She holds a Master’s degree in Health Administration and is a Registered Nurse. She has worked in the hospice field since 1998 and has held positions in nursing, sales, and business development and operational leadership. Pauline maintains Advanced Certified Hospice Executive certification administered by the California Association for Health Services at Home (CAHSAH). The accreditation demonstrates advanced competencies for strategic positioning, financial management, and legal compliance issues. In 2014, while serving as VP of Business Development at Hospice of St. Francis, FHPCA awarded Pauline with The Catalyst Award which recognizes an individual in any role within an organization who has consistently demonstrated leadership in forging the collaboration that makes hospice unique. Pauline previously served on the FHPCA Executive Committee as the Quality Chair and Forum Chair. Cathy has been with Gentiva Health Services for over 19 years, and has been the Area Vice President of Operations – Hospice for over 6 years. A nurse by trade, Cathy also has extensive experience managing the overall operations of both Hospice and Home Health, including developing budgets and managing Agencies profitably. She received her Bachelor’s of Science in Nursing from the University of South Carolina. Peggy has more than 35 years of experience in hospice management and nursing. She joined VITAS in 1983 as a registered nurse in the Broward County, Florida, program and quickly rose through the ranks, serving as a nurse, team manager, patient care administrator, and general manager. In the mid-1990s, Peggy served as vice president for all VITAS hospice programs in California before moving to Miami in 1998 as the company’s first vice president for patient & family services. Peggy is a longtime member of the National Hospice and Palliative Care Organization (NHPCO), and serves as co-chair of its Membership Committee. She also is a Board member of the Duke Institute on Care at the End of Life, and was recently named to the Board of Community Home Accreditation Program (CHAP). Peggy also acts as a hospice expert advisor to the Joint Commission, and has worked in the past with the NHPCO Regulatory sub-committee. Peggy is a Certified Healthcare Compliance Professional. Susan began her career with Community Hospice (then known as Hospice of Northeast Florida) as a volunteer clinical social worker for the nonprofits new St. Augustine office in 1985, having just earned a master’s degree in social work from Florida State University. She became the organization’s first staff social worker in 1986. She became Executive Director in 1988 and was named president and CEO of Community Hospice of Northeast Florida in April 1991. During her tenure, Community Hospice has grown from serving 60 patients a day with a staff of 35 to an organization of approximately 850 full- and part-time staff serving approximately 1,200 patients each day. In addition to serving as president of the Junior Service League of St. Augustine from 1993-94, Susan has served on the Board of Directors of United Way of St. Johns County; the Advisory Board of the Historic St. Augustine Preservation Board; the Trustees of the Jacksonville Chamber of Commerce; and the Jacksonville Women’s Network. David C. Fielding joined Hospice of Palm Beach County as President and Chief Executive Officer in December 1998. Under Mr. Fielding’s leadership, Hospice of Palm Beach County has grown from caring for approximately 200 patients on a daily basis to more than 2000 patients on a daily basis, branching out to bring the organization into Broward County and merging with Hospice by the Sea, forming a new parent company, Trustbridge, which includes Hospice of Palm Beach County, Hospice by the Sea, FocusCare and Harbor Palliative Care.